Page of "Android – The Flexible, Powerful And Smart OS Player". The debate about the superiority of iOS or Android operating systems is still raging. It is most unlikely for a conclusion to be reached in the foreseeable future, as both camps have strong arguments. The users get so used to the features that it’s hard to convince them to jump ship and embrace the other OS. Android is a dream to mobile entertainment and it was embraced by most online casinos and gaming operators. Players can enjoy their favorite games in the browser or download them on their devices. Apple still dominates the market as the most profitable company developing smartphones and tablets. However, Android has supremacy over the iOS because there are plenty of other producers of mobile devices relying on it. Entertainment-wise, the operating system is perfect for all sorts of games and there are dedicated applications the community can rely on. Free to download from the official website of gaming operators or from PlayStore they instantly bring any device to life. Apple fan-boys will sometimes brag about how the operating system of choice is faster and more reliable. That’s only partially true, because Android users have the tendency of installing plenty of applications on their devices. Most of them are useful but at a closer look, people will realize that they don’t necessarily need all of them. If you want to know how to optimise performance on Android, the first step is to get rid of unwanted apps. It is so tempting to install just one more application, test it a little bit and then decide whether it’s worth the resources. Most people either get attached to these apps or forget about them completely and in the long run, this will slow down the smart phone or tablet. 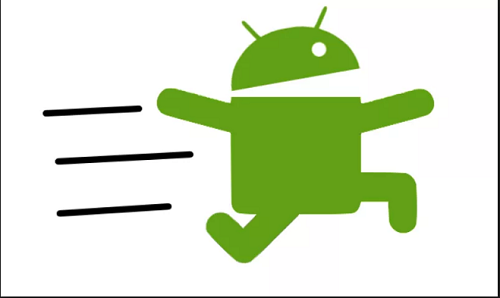 It is obviously not the fault of the operating system and the good news is that Android can be sped up immediately. Users can uninstall the app immediately and will notice significant improvements overnight. Another thing that people can do is to dump the bloatware and there are plenty of tutorials online for those who are not tech savvy. A quality operating system such as Android still requires constant maintenance and that’s why people should always have the latest update. This will ensure optimal performance and with the right Internet connection, it doesn’t take long to get up to date. The price to pay for owning a device running on the most popular operating system is that there is plenty of malware targeting it. Viruses and spyware can significantly slow down a mobile device and sometimes people get infected without knowing it. Having an antivirus to scan the smart phone and paying attention to the applications one installs will mitigate the risks of such infections. Furthermore, users should be blocking ads on Android if they spend a lot of time browsing online. The fewer advertisements are displayed, the faster the gadget will run.